While you might think, from my first three posts, that only my paternal line is interesting, but thankfully that's not true! My mom's family is just as interesting (although, so far, less "high spirited"...more on that later) and filled with intrigue and mystery. This appears to be the probate file (albeit incomplete and partially destroyed) for Jonas Griffin (my g-g-g-grandfather), where the executor for the estate was Joshua L. Griffin (my g-g-grandfather!). 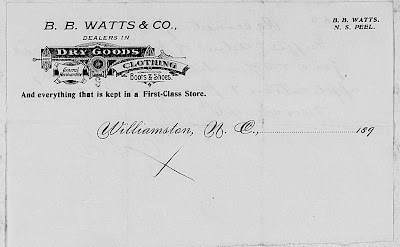 The receipt (above) identifies the locale as Williamston, NC and the date, 29 March 1898. 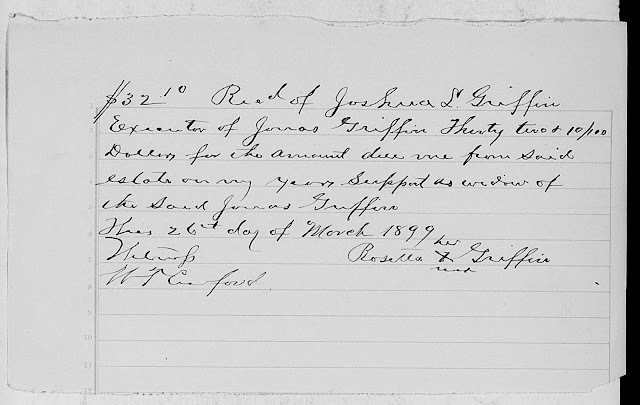 The Griffins in my tree (including Jonas and Joshua) were living in Williamston (Martin County) in 1880. And Jonas Griffin's eldest son was named Joshua L. Griffin. Each of these data points tells me that, more likely than not, this is my Jonas Griffin. Woohoo! 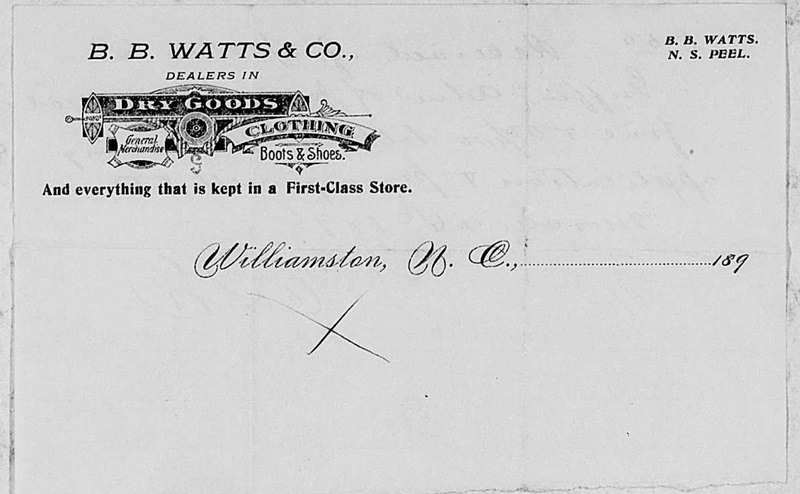 While this was a great find, it wasn't as rich in detail as the one for Eliza. 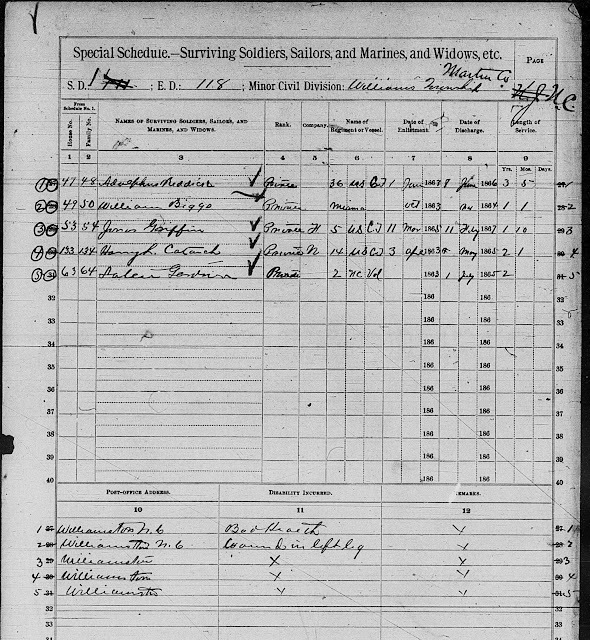 But thankfully you can still see that Jonas bequeathed $20.00 (roughly $571 in today's dollars - measuringworth.com) to Gray Linear. I don't (yet) have a Gray Linear in my tree, but I do have Laniers! I also can't find Gray Linear with any searches. So that remains a mystery. But wait. Rosetta Griffin? Who's she?? 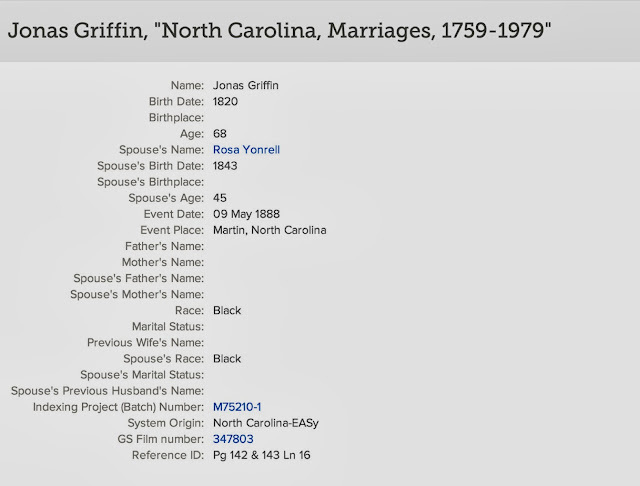 Based on my research, Jonas Griffin's wife was named Mary Lanier Griffin. So where did Rosetta come from? A quintessential May-December match I suppose. However, I was unable to find out what happened to Jonas's first wife, Mary. 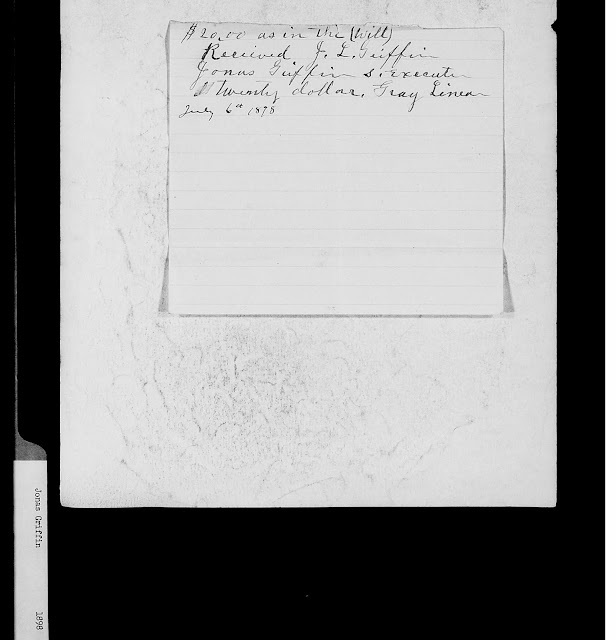 I haven't found a death record or a divorce record (assuming they were that official in Williamston at that time). So yet another mystery to add to my growing collection. 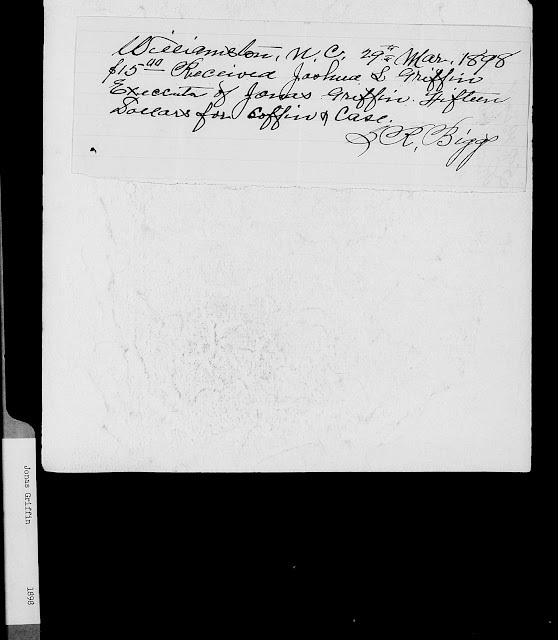 Just so you won't think I've gone willy-nilly, I realize that I don't have solid confirmation that the record above pertains to my Jonas Griffin. But I do have the reference in the file to a widow of Jonas named Rosetta (Rosa - Rosetta, close enough). 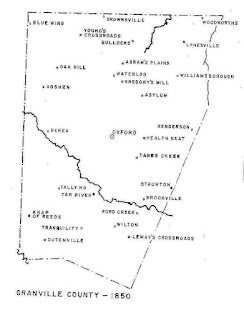 And I have the Joshua L. and Jonas connection. And I haven't yet found any other Jonas Griffins in Martin County. But, yes, I realize it's a bit squishy. That's why my research continues!